Onion Jam, Apple and Brie Pizza PocketsThe phrase “beauty in motion” does not necessarily apply to pizza. Throw kids in the mix, and you might be peeling cheese from your ceiling fan until said children are in college. 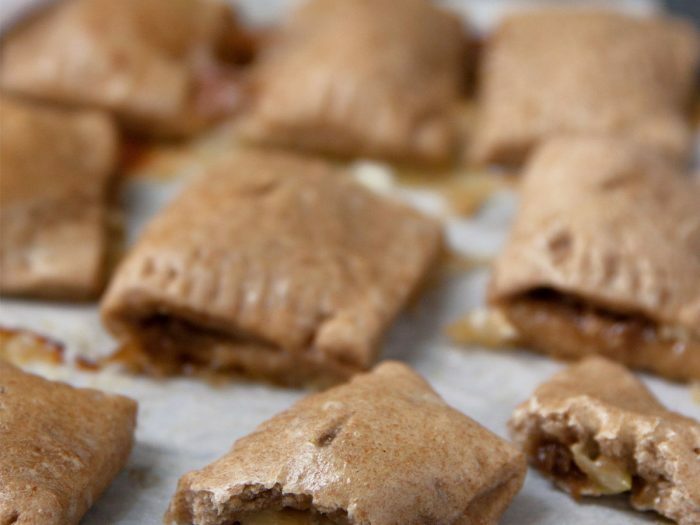 But with these pizza pockets, you can keep toppings and offspring in check—nutritionally speaking. This combination of in-season apples and brie cheese tucked into whole wheat pockets wraps nutrition and taste into one portable lunch. Make ‘em mini sized for snacks on the go!